Spring in the Netherlands is the time to discover the countless blossoming flowers in Amsterdam and outside of the capital. 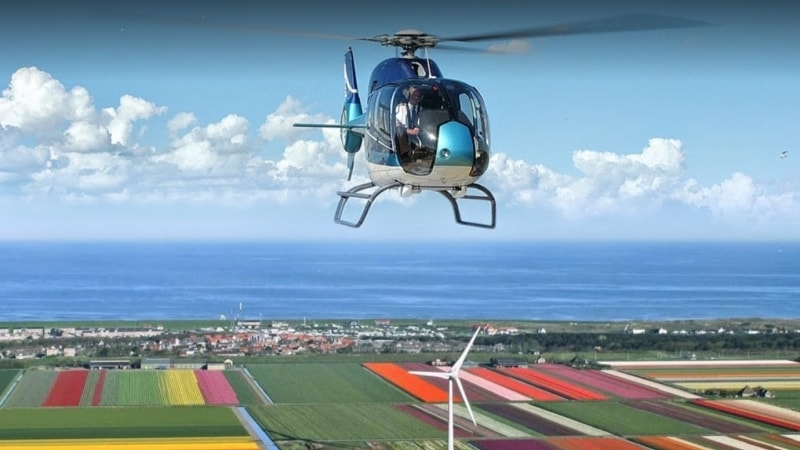 Whether you would like to go by foot, bicycle or helicopter - our lovely Host team is ready to make sure you have the most amazing Dutch flower experience. As the time is approaching for the seasonal tulips to blossom in the Netherlands, the Conservatorium hotel is welcoming guests again this year to immerse themselves in this colourful traditional and see the beautiful tulips at the hotel. Amsterdam’s leading luxury lifestyle palace, located in the heart of the city, will be dressed with over 1,000 of its bespoke tulips in celebration of the annual Tulip Festival. Last year, in celebration of its 5th year anniversary, Conservatorium revealed its very own tulip variety that was grown on the estate and will be on display throughout the hotel in 2018. 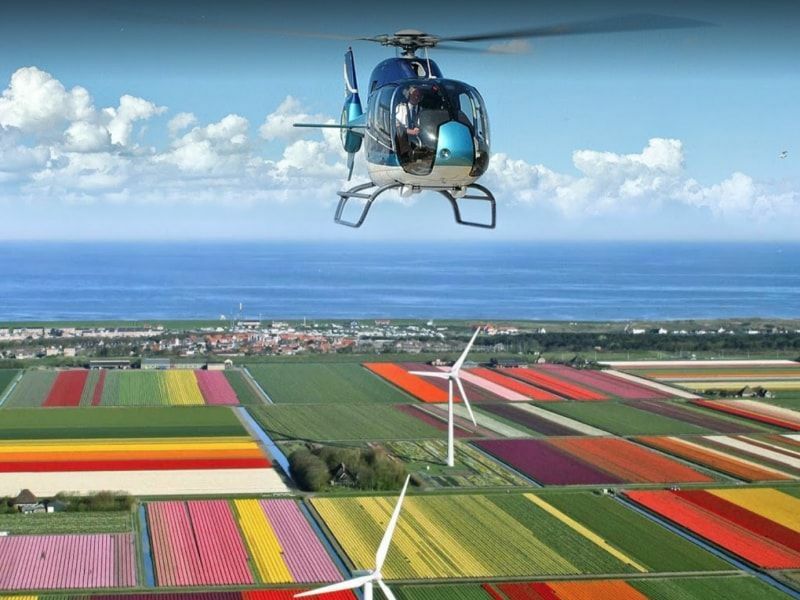 A helicopter flight on Saturday with extensive views over the vast multi-coloured tulip fields, flower parks and Dutch coast. The EC 120 helicopter can accommodate one pilot and four passengers and the flight is only available on Saturday. A private driver for an exclusive journey across the grounds of a tulip farm for a unique introduction to art tulip cultivation. Guests will get the chance to learn the fascinating history of this craft and even pick their very own tulips to take home. Entrance tickets to Keukenhof, the Netherland’s celebrated flower garden. Seven million bulbs and 800 varieties of tulips will adorne the park for a select period of time from 22 March until 13 May. Guests will enjoy the 32 hectares of flowers, spectacular flower shows, inspirational gardens, unique art and other tulip related events. Two night’s stay in one of Conservatorium’s luxury guestrooms or suites including breakfast. From 22 March to 13 May 2018, you can experience an unforgettable trip to our national pride, our bulb region. Your private (guiding) driver will drive you through the fields of daffodils, hyacinths and tulips in every colour. The highlight of this beautiful area is the Keukenhof, our famous landscaped flower park, also known as the Garden of Europe. This is one of the most beautiful spring gardens in the world! Approximately 7 million flower bulbs are planted annually in the park, which covers an area of 32 hectares (79 acres). The park is mostly dominated by tulips; however you will also find daffodils, hyacinths and an amazing show of orchids. The Keukenhof has surprises in store for visitors of all ages. The pavilions feature 30 alternating flower and plant shows where you can discover the latest trends in gardening and numerous works of art. Contact our host department to arrange a private transfer to De Keukenhof. With spring in full bloom after The Netherlands’ cold and frosty winter, in celebration of its 5th year anniversary Conservatorium has revealed its own variety of tulips that were grown on the estate for the first time in 2017. This year, Amsterdam’s leading luxury lifestyle palace, located in the heart of the city, will again be dressed with over 1,000 of its bespoke tulips in celebration of the annual Tulip Festival. In addition to the Conservatorium's variety of tulip, we will serve our Tulip Cake in the Conservatorium Lounge. Tulp Festival wants to bring back the tulip in the city streets of Amsterdam. Traditionally Amsterdam is connected to the legendary tulip; however, the tulip seems to have vanished from the streets. The aim is to plant eventually one tulip for each individual citizen of Amsterdam. This amounts to 800.000 tulips. This year, the third year, half a million tulips were planted in open soil and in pots. You can enjoy them between 31 March and 30 April, or as long as they are blooming.